MoreAs an attorney with 23 years of experience I limit my practice to the representation of individuals who have suffered discrimination in the workplace, or had their civil rights violated. This also includes instances of police misconduct and free speech violations by governmental entities. The federal statutes for workplace rights which I have utilized on behalf of clients include the ADA, FMLA, Title VII, 42 U.S.C. §1981, 42 U.S.C. §1983, Rehabilitation Act...As an attorney with 23 years of experience I limit my practice to the representation of individuals who have suffered discrimination in the workplace, or had their civil rights violated. This also includes instances of police misconduct and free speech violations by governmental entities. The federal statutes for workplace rights which I have utilized on behalf of clients include the ADA, FMLA, Title VII, 42 U.S.C. §1981, 42 U.S.C. §1983, Rehabilitation Act, and the Equal Pay Act. The abuse of authority, whether in the workplace, or by persons vested with power by the government, should not be tolerated. I believe that every person, not just wealthy corporations, deserves a zealous advocate in the justice system and I aspire to provide personal and excellent service when I engage a new client. My skills in the courtroom have been developed and tested through a significant number of trials in federal court, from Georgia to Florida to Pennsylvania. The verdicts on behalf of my clients include a claim for job termination in retaliation for requesting an accommodation under the Americans with Disabilities Act (ADA), a claim for refusal to hire based on an erroneous belief that my client was an illegal drug user under the ADA, and a claim for constructive discharge in retaliation for a complaint about race discrimination under Title VII. Those trial experiences have resulted in my being asked by other lawyers to act as trial co-counsel in numerous cases. 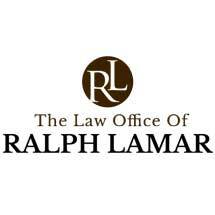 I also have significant experience in the appellate courts in order to preserve my clients’ verdicts. The dedication and passion for what I do, and the results obtained, was recognized by my selection as a Pennsylvania Super Lawyer in 2010. Shortly thereafter I made a life change and moved to Colorado where I established a new law practice here on the Front Range. Since 2011 I have been admitted to practice before all Colorado courts. In addition to my law practice I volunteer with the high school mock trial program and am a regular platelet/plasma donor.